Brick Barbecue 96 – This barbecue grill has the means to make their grilled, also has a dishwasher where you can wash your dishes and a small bench on the right side where you can put a dish, a dish that always has a lot of utility. This grill is a panel tiled who can modify to your liking. In this BBQ for a better storage has a space where you can put down a wood or coal. 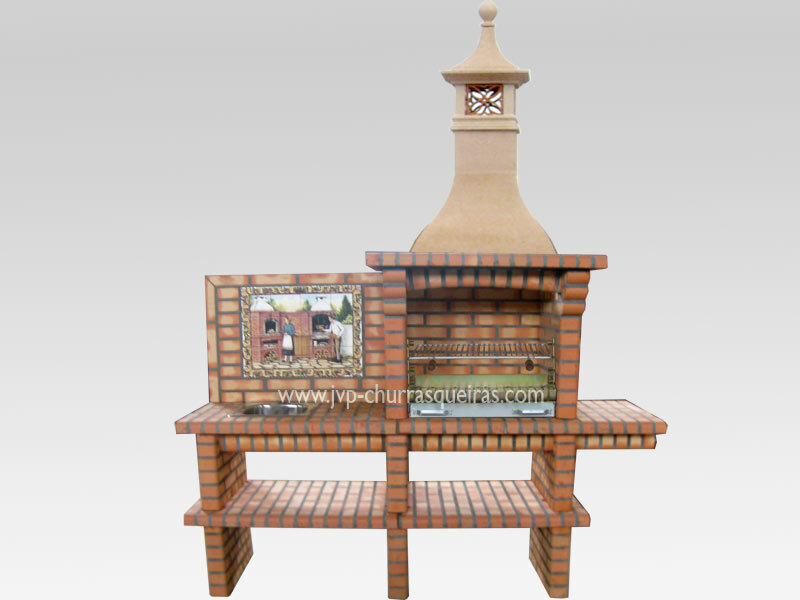 Grill with a chimney Algarve, and is coated in refractory bricks for better cleaning and does not require painting. Barbecue Grill, BBQ in bricks. Brick built barbecue for charcoal grills. BBQ Made in Portugal.